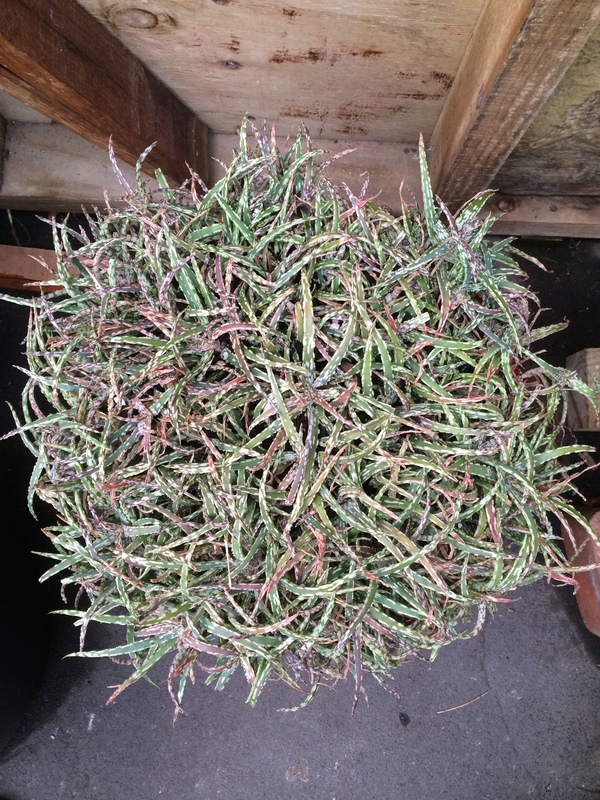 ‘Mt Tiger’ Aloe is said to be a mini-ature form of millotii aloe. 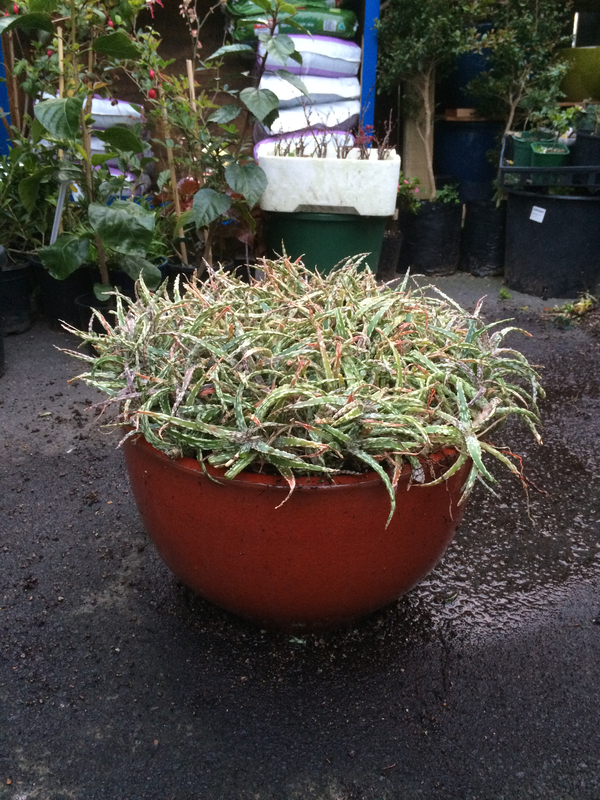 With narrow leaves and long white stripes and teeth, it’s shown here in a large pot as a dense mound of interwoven leaves. 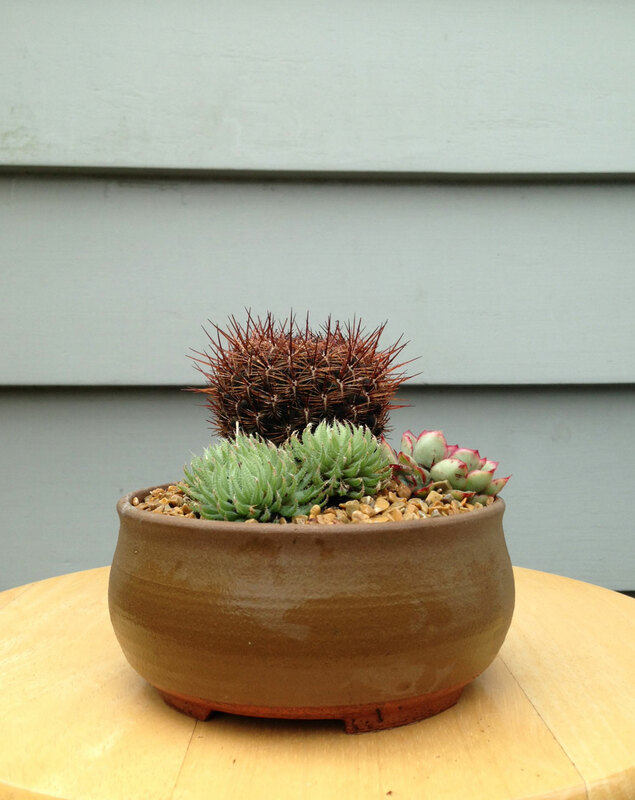 Zoom in for a closer look by clicking on photo of choice. 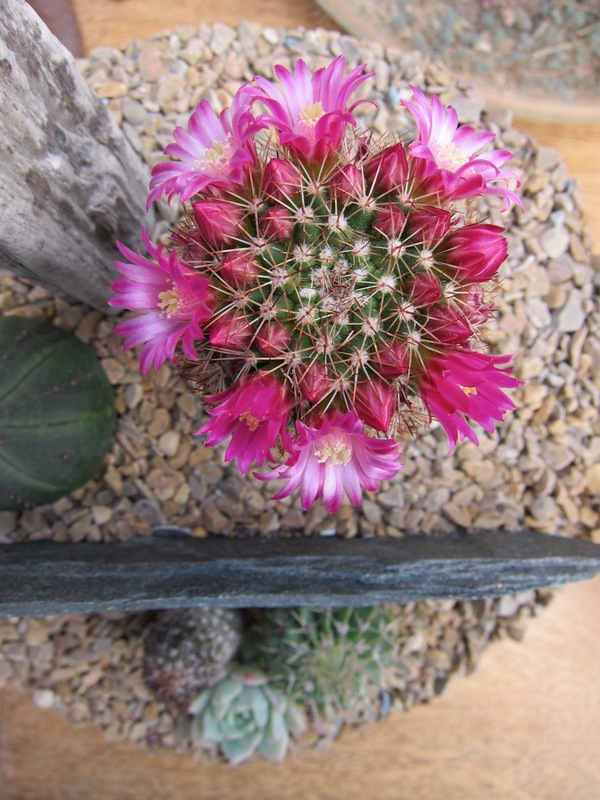 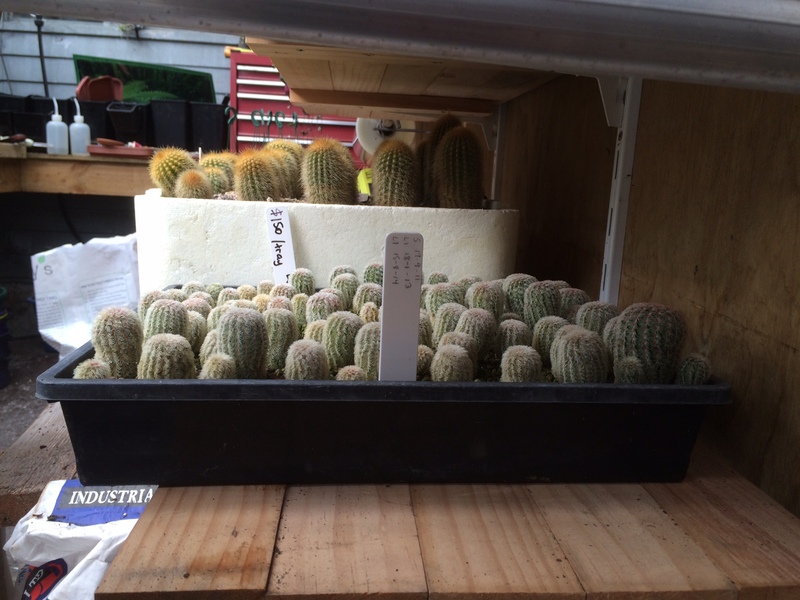 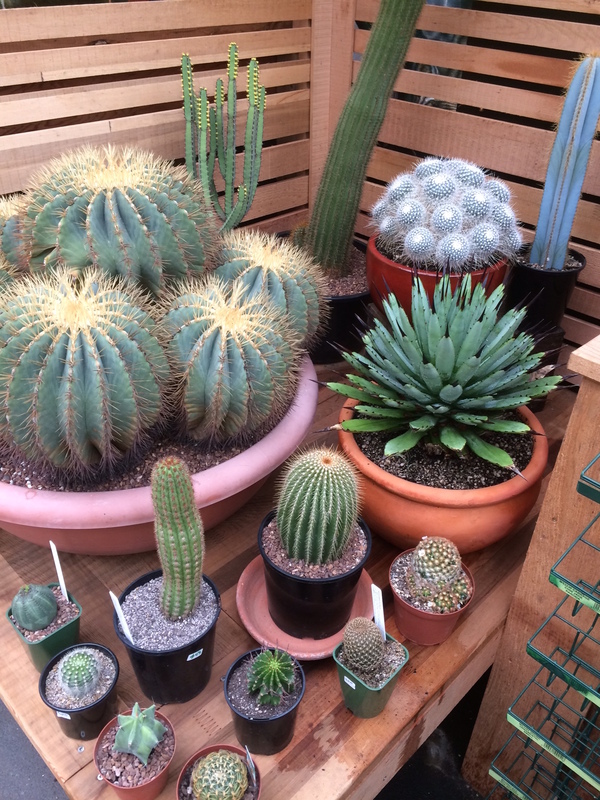 Some shots of the cacti room at Ponsonby Plants, a popular stop for cacti of all sizes, succulents too (of course). 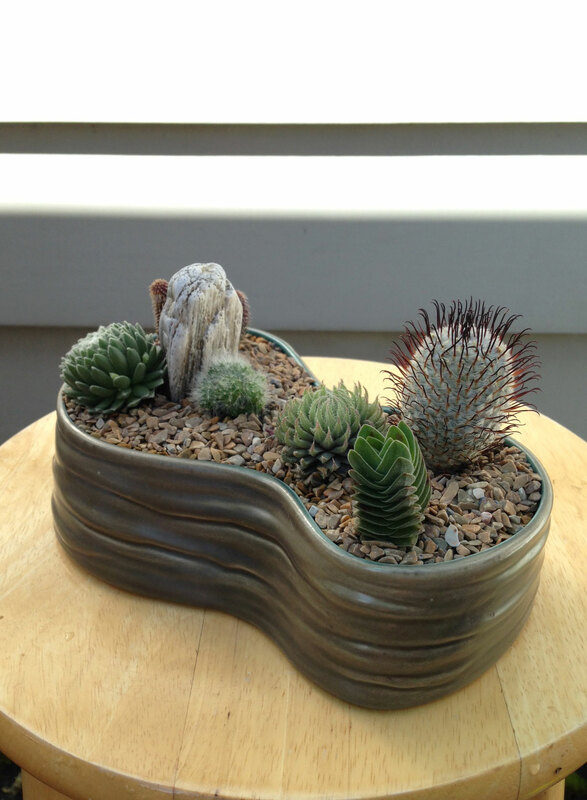 Succulent container no. 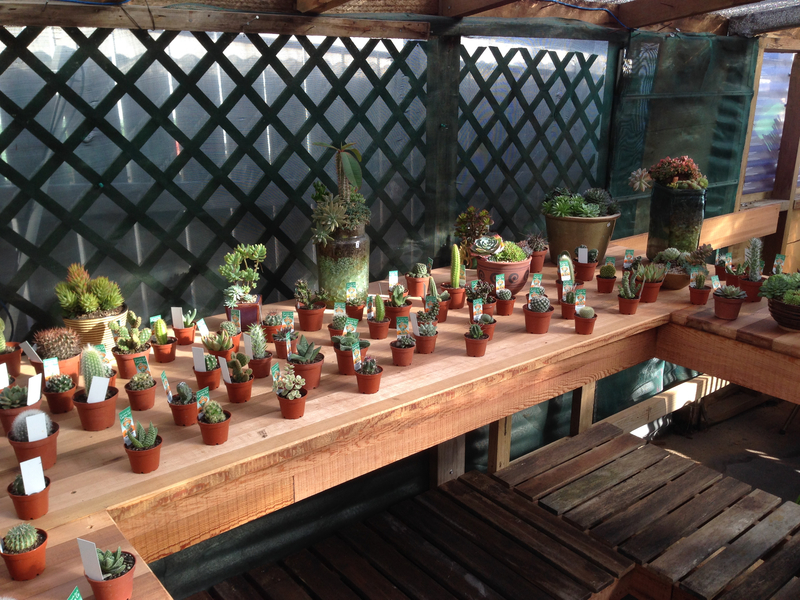 17 is a pot of succulents and cacti. 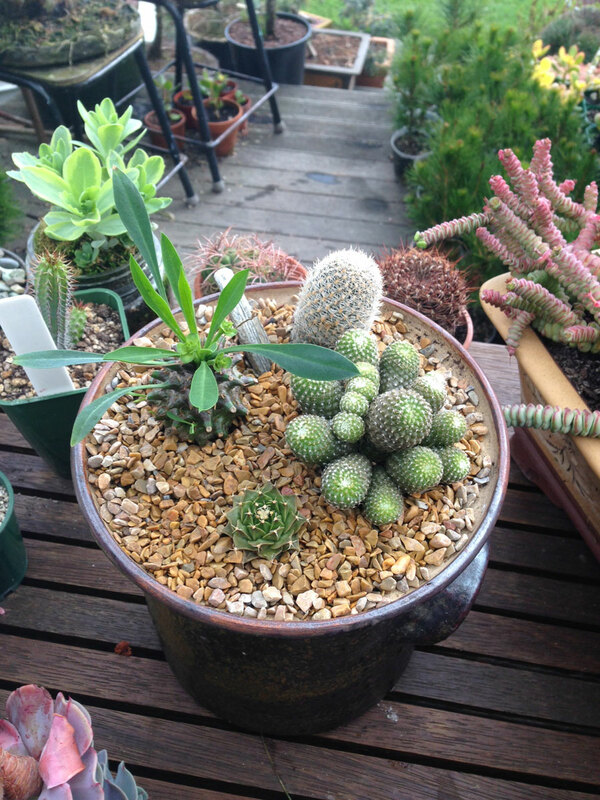 Mix of cacti and succulents with loose stones. 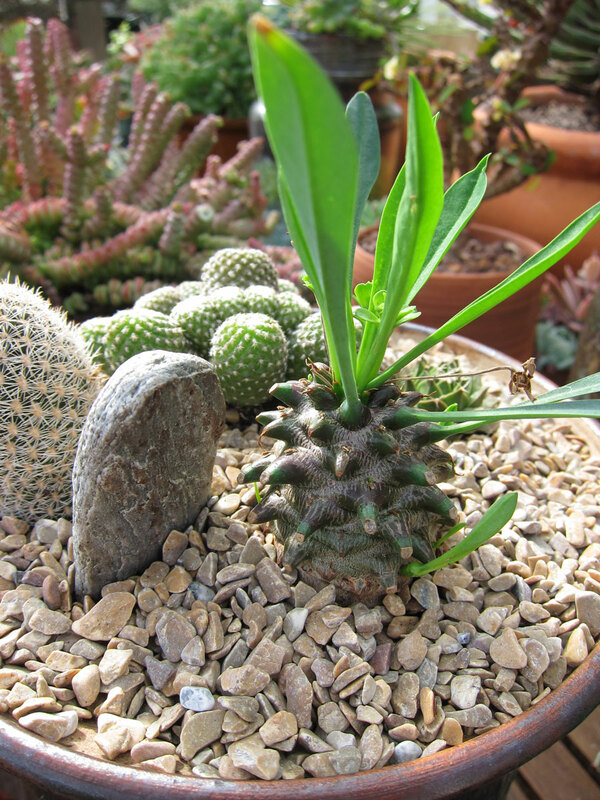 The echevaria on the right is an echevaria pulidonis, native of Mexico. 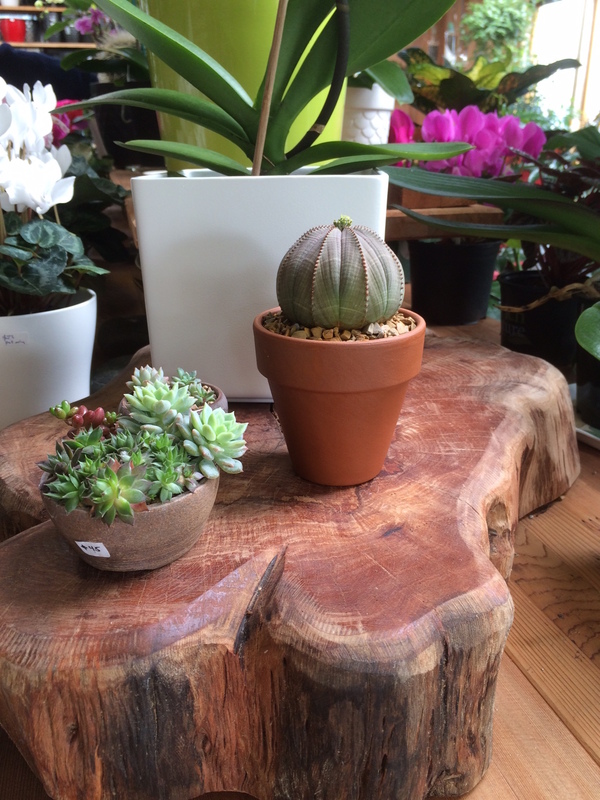 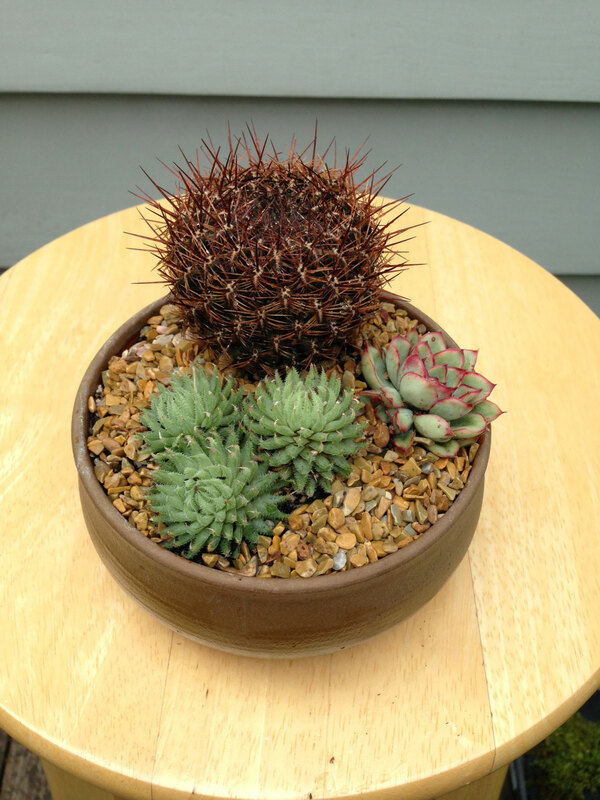 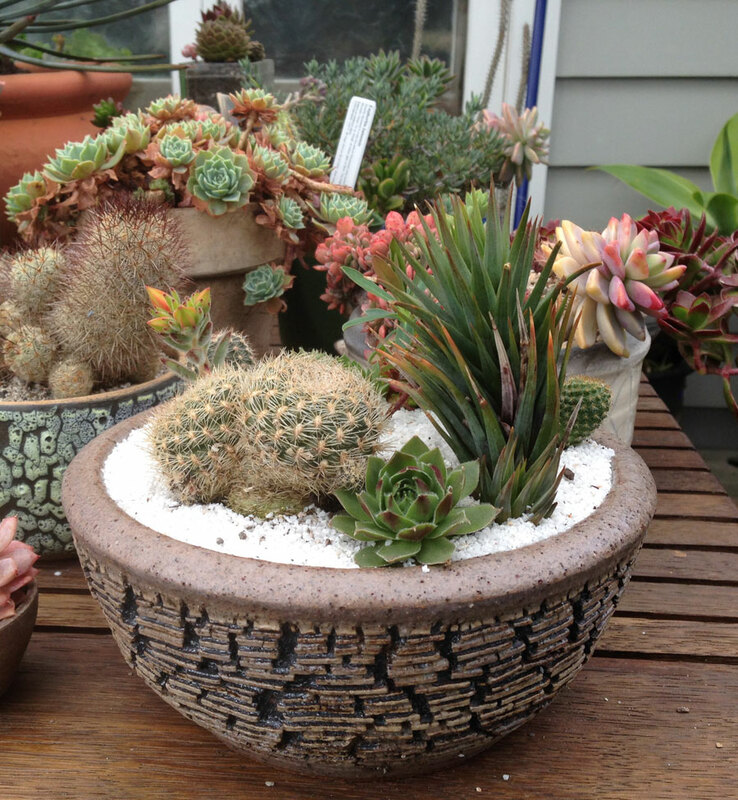 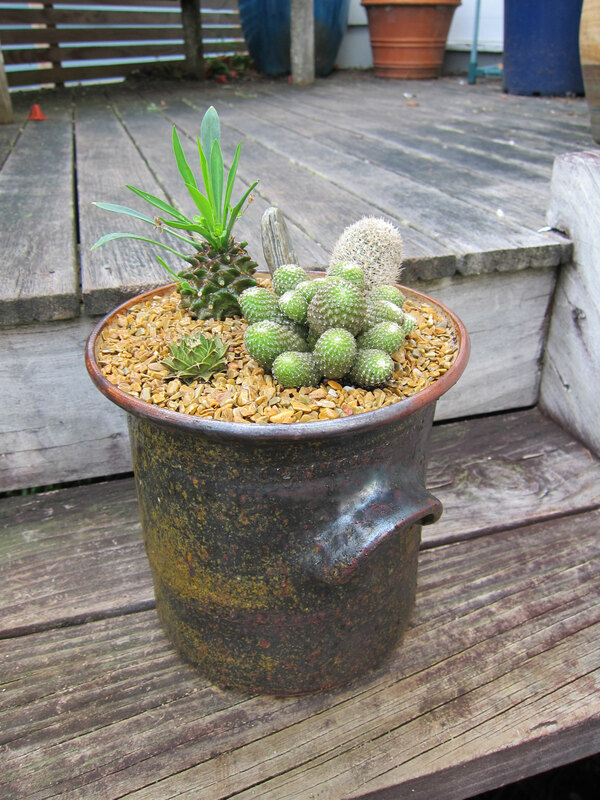 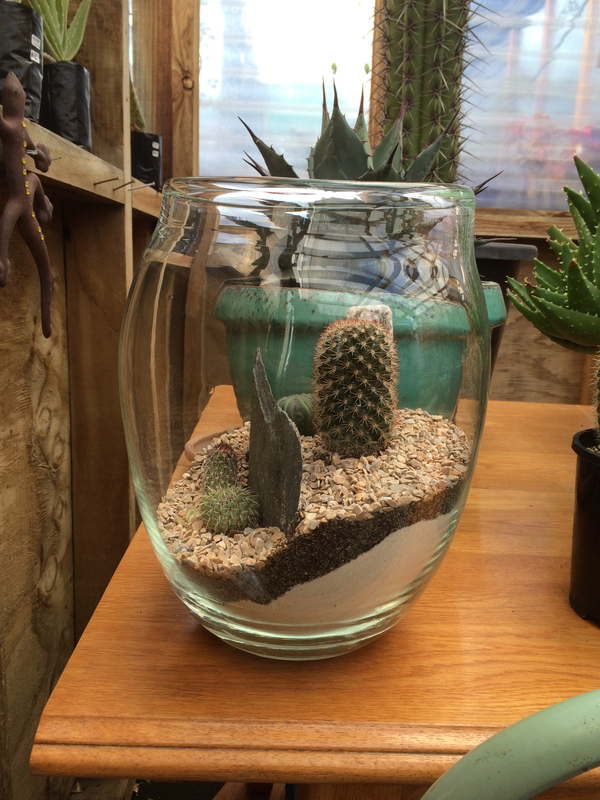 A blend of succulents and cacti – with white sand and a hand-made pot. 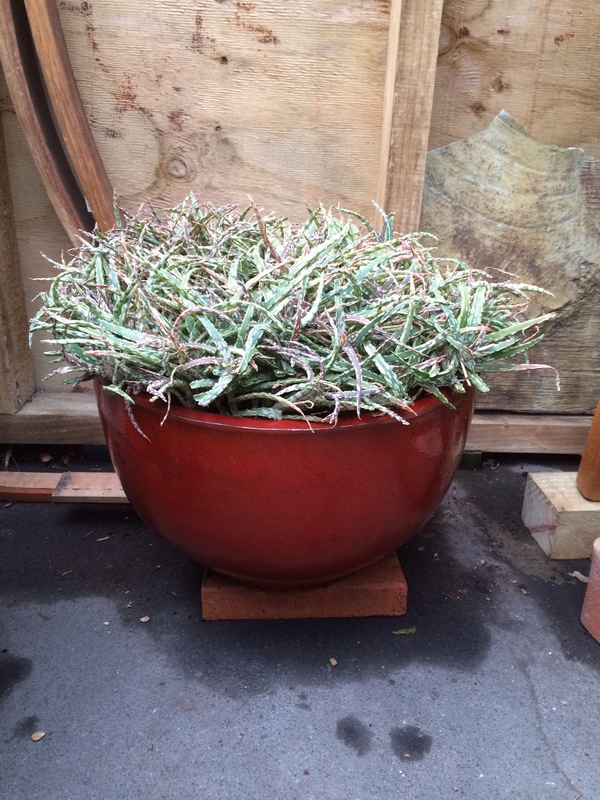 Watered once a fortnight.